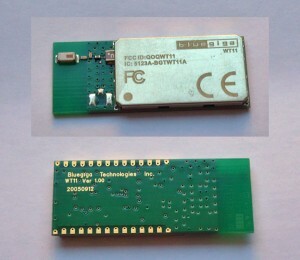 Thanks to Farnell, I was able to test the Bluegiga WT11 bluetooth module. The power transmission – it’s a class 1 device – is 17dBm that corresponds to a range, in open air, of about 200m. 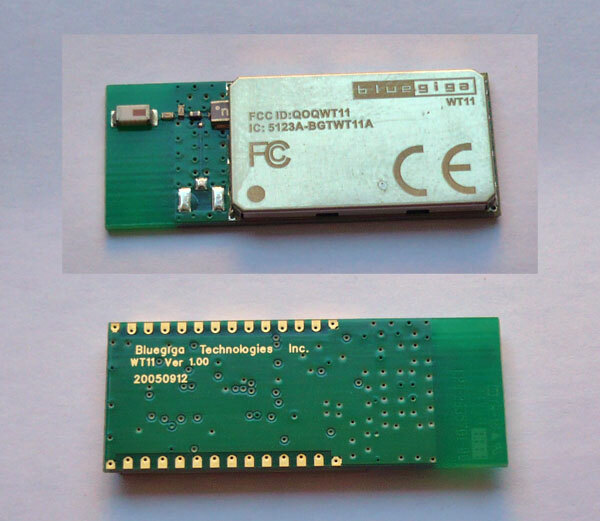 Module’s dimensions – including antenna – are 35.3 x 14mm. Bluegiga suggests not to place copper or any metal under the antenna because they could degrade signal quality. Electrical pads (14 for each per lato) are located under the module: you can’t solder them by hand, needing some reflow skills. iWrap is the hearth of any Bluegiga WT modules. 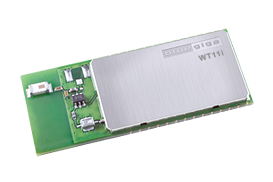 iWrap offers a full set of comands you can use to configure and control every function of Bluegiga modules. 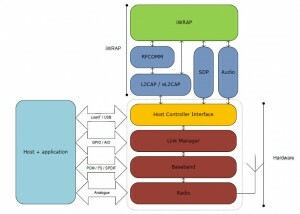 The commands are sent in ASCII form via UART connection. 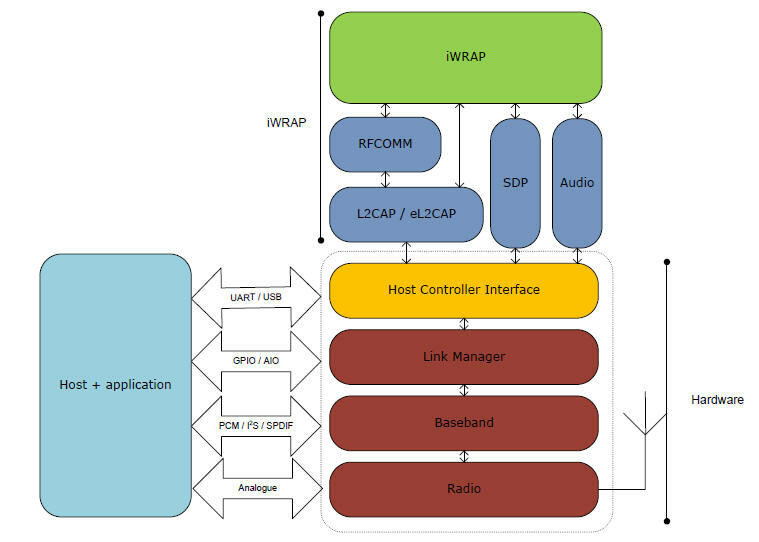 In the first mode, iWrap presents two different states: the command one, in which data sent to the module are considered commands and data one, in which data sent to the module are transparently transfered to Bluetooth link. With a given escape sequence, you can change the actual state. In the second mode, iWrap uses a communication protocol: you can specify – for every message sent or received – if it’s a command or data. With this mode, you can keep more than one connection without explicitly (= using a command) choose which one you want to use. This mode could also reduce module’s performances because of the overhead introduced by the protocol. Bluegiga offers a complete collection of documents and application notes you can download for free, after having registered to Bluegiga’s Tech Forum.